The Palestinian government condemned, on Monday, the Israeli demolition of Ashraf Naalwa's family home in the Shweika village in the northern occupied West Bank district of Tulkarem. Spokesperson of the Palestinian government, Youssef al-Mahmoud, said in a statement that Israel's act is a "collective punishment" and that it is considered as an act of vengeance. Al-Mahmoud said that the Israeli government is escalating aggression against Palestinians, their land and their property by setting military checkpoints all across the West Bank while allowing armed settlers to attack Palestinian civilians. Al-Mahmoud urged the international community to put an end to Israeli violations. Israel demolished Naalwa's family home building, early Monday; Naalwa is accused of carrying out a shooting attack in the Barkan industrial area in which 2 Israelis were killed. Naalwa was shot and killed by Israeli forces last week. 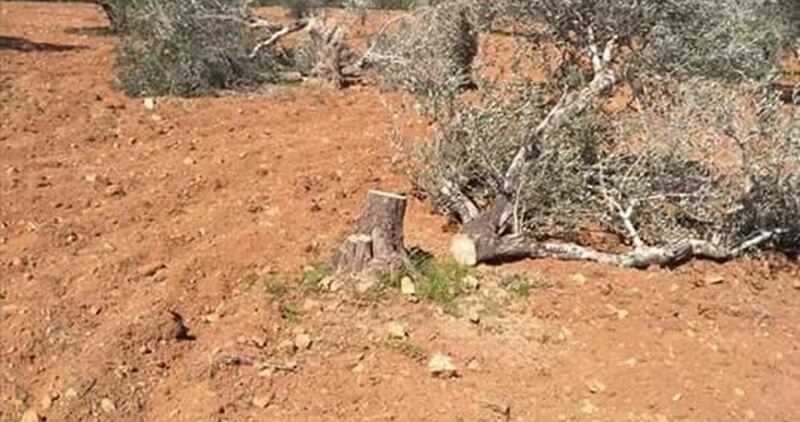 Israeli settlers chopped up on Sunday over 160 olive trees in Palestinian lands in the villages of al-Mugheir and Tarmas’iya, in Ramallah province, in the central occupied West Bank. Activist Kasem al-Haj Mohamed said Israelis residing in the illegal settlement of Eli Ad uprooted 160 olive trees in al-Mugheir village, northeast of Ramallah, and 100 seedlings in Tarmas’iya, to the north, that belong to Palestinian citizens Jamil al-Naasan and Salim Abu Abdullah. The activist said settlers from the aforementioned outpost have stepped up attacks against Palestinian land and property in the area. Dozens of Israeli soldiers invaded, on Monday at dawn, Shweika area, north of Tulkarem, in the northern part of the occupied West Bank, and demolished the family home of Ashraf Na’alwa, 23, who was killed by the army in a Palestinian home in Askar refugee camp, east of Nablus. The soldiers also injured seven Palestinians, and abducted three, during protests against the demotion. The soldiers shot six Palestinians and abducted three others during the invasion, while all schools, including kindergartens, did not open in the morning, due to the ongoing military offensive. 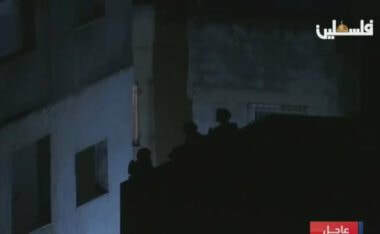 The soldiers stormed and violently searched many homes, and occupied the rooftops of several buildings, near Na’alwa family home, to use them as military towers and firing posts. The military bulldozers then advanced to the three-story building, and knocked its foundation and main walls down, while the soldiers also manually demolished sections of the property. The Palestinian Red Crescent Society (PRCS) in Tulkarem said the soldiers injured seven Palestinians, including three who were moved to Dr. Thabet Thabet Governmental Hospital, in Tulkarem, and are in a stable condition; one of them was shot with a rubber-coated steel bullet, and one suffered burns. It added that four Palestinians suffered the severe effects of teargas inhalation, and received the needed treatment by medics of the Palestinian Red Crescent Society (PRCS). The PRCS said the soldiers also fired rubber-coated steel bullets at one of its ambulances, while trying to reach wounded Palestinians. It is worth mentioning that dozens of Palestinians gathered, on Sunday evening, in and around the Na’alwa family home, just before the army invaded the area, and forced them out, to prepare for the demolition of the property. 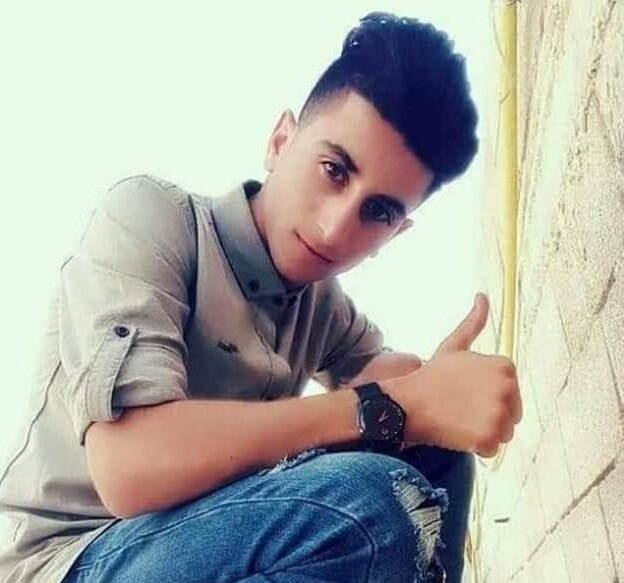 Ashraf Na’alwa, 23, who was killed by the army, on December 13th, 2018, at a home in Askar refugee camp, east of the northern West Bank city of Nablus, is accused of carrying out the fatal shooting in Barkan colony, illegally built on Palestinian lands. The two Israelis have been identified as Kim Levengrond Yehezkel, 28, from Rosh HaAyin, and Ziv Hagbi, 35, from Rishon LeZion colonies. Following the demolition, the Palestinian Authority issued a statement denouncing the Israeli violations, especially since the home demolition policy is an illegal act of collective punishment, targeting entire families. It said that world leaders and countries must understand that Israel’s illegal occupation of Palestine, and its escalating hostile policies and violations, are the core factors of ongoing tension and violence. The authority also called on the international community to provide the urgently-needed protection to the Palestinian civilians, and added that there can be no real peace and stability in the region as long as Israel continues its illegal occupation and violations. It called for the immediate implementation of all United Nations and Security Council resolutions, in addition to all related international treaties and agreements, to ensure the establishment of an independent, viable and contagious Palestinian state, with east Jerusalem as its capital. Dozens of Palestinians started gathering, on Sunday evening, in and around the family home of Ashraf Na’alwa, as Israeli soldiers are preparing to demolish it, in Tulkarem, in the northern part of the West Bank. The Palestinians started flocking to the home, and its surrounding area, in an attempt to prevent the army from demolishing the property as an act of illegal collective punishment against the entire family. 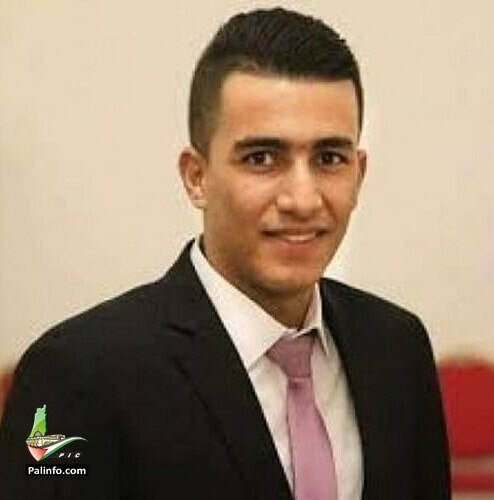 It is worth mentioning that Ashraf Na’alwa, 23, who was killed by the army, on December 13th 2018, at a Palestinian home in Askar refugee camp, east of the northern West Bank city of Nablus, is accused of carrying out the fatal shooting in Barkan colony, illegally built on Palestinian lands, in northern West Bank, killing two Israeli settlers. The Israeli occupation forces (IOF), accompanied by an Israeli Intelligence force, raided a Palestinian house in al-Khalil on Sunday. 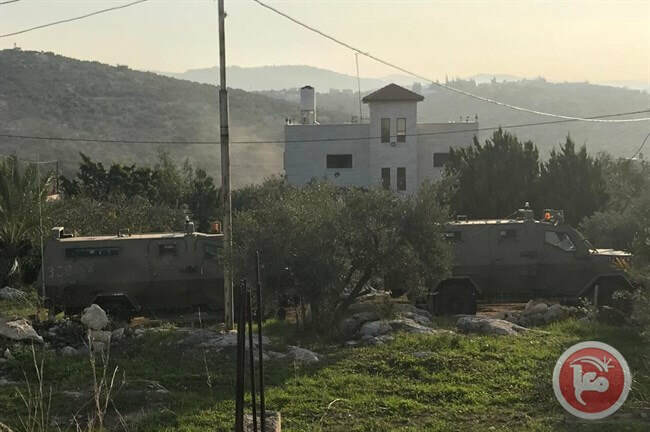 The PIC reporter said that the IOF stormed a house owned by the Palestinian citizen Ali Abu Sneineh, 54, south of the Old City of al-Khalil, and searched it for about two hours. 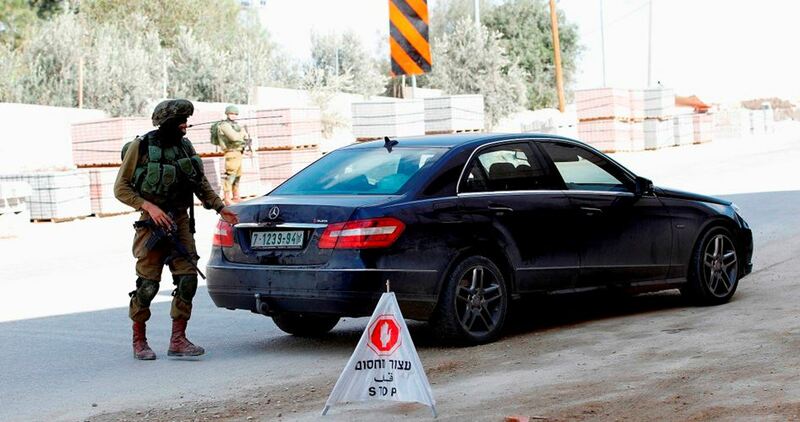 The IOF wreaked havoc on the house, confiscated Abu Sneineh's car, and handed him an order to appear before the Israeli Intelligence Service in Kfar Etzion settlement. Israeli forces delivered a demolition notice to the family of 16-year-old Khalil Jabbarin, in Yatta City in the southern West Bank district of Hebron, on Sunday. Jabbarin, was shot, injured and imprisoned by Israeli forces, in September, after he had carried out a stabbing attack reportedly killing an Israeli settler. 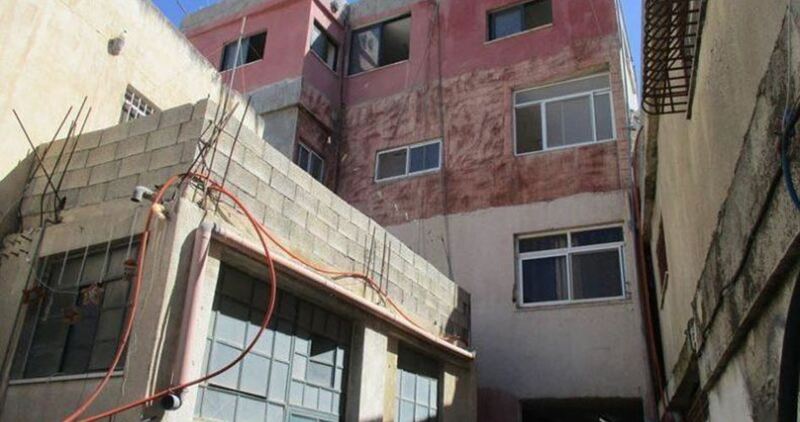 The Israeli commander of the Israeli military central command approved an order for the demolition of the Jabbarin family's apartment that is on the third floor of housing building in Yatta. The order gave the family until January 2nd, 2019 to appeal the military order at Israeli military courts. 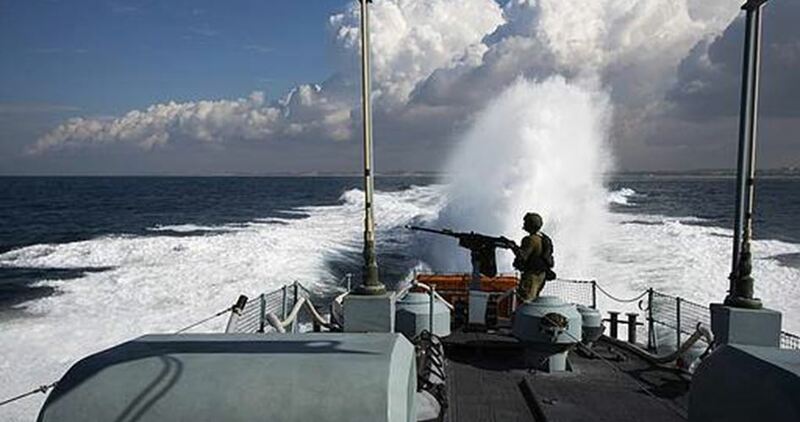 The Israeli occupation navy on Saturday morning kidnapped two Palestinian fishermen during their presence off the coast of Gaza City. Chief of the fishermen Nizar Ayyash told Quds Press that the brothers, Mohamed and Atef Abu Riyala, were kidnapped after Israeli naval forces opened machinegun fire near their fishing boat, which was also confiscated. Ayyash added that the fishermen were working within four nautical miles from the shore of Gaza City. Meanwhile, Israeli soldiers opened fire at a group of Palestinian citizens in a border area to the east of Khan Younis in southern Gaza, with no reported injuries. A popular campaign to support the family of Abu Humaid announced on Wednesday the launch of an open-ended sit-in to protect the house of the family in al-Am'ari refugee camp, southwest of Ramallah, against demolition by the Israeli occupation army. Recently, the Israeli army notified Abu Humaid family of its intent to demolish their four-story home as a punitive measure after its son, Islam, was accused of killing a soldier in al-Am’ari camp a few months ago. The Israeli army gave the family until Wednesday, December 12, to evacuate their home voluntarily, but the popular campaign that supports the family affirmed that it would not allow the demolition of the house and would stage a massive rally outside it to protect it. 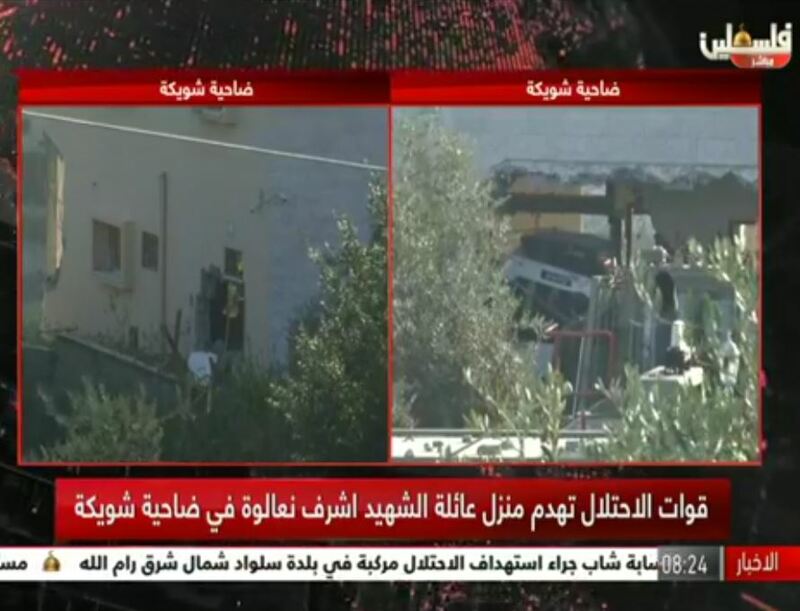 Organizers of the campaign held the Israeli occupation state fully responsible for any consequences resulting from its attempt to demolish the house of Abu Humaid.